Just for the girls! 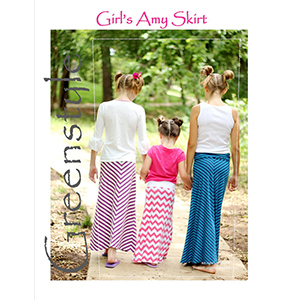 A super quick and easy Maxi skirt pattern and tutorial with chevron and regular fabric options are included. 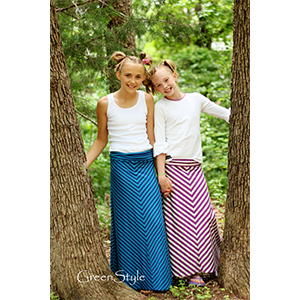 This is for stretch knit fabrics like a jersey knit in either stripes, for that popular chevron look or regular options. Estimated about 20 minutes of sewing time! Sizes include 2 years up to 16 years. Grab the women's pattern too for yourself! The Regular Option takes as little as ¾ yard for the smaller sizes to 2 yards for the 16 and the Stripes to Chevron takes up to 1 ½ for the smaller sizes to 3 yards for the 10 – 16 Year sizes.